For grades 3-5. Pick up your copy at the Children’s desk and finish the book before the group meets. Already read the book? Come anyway! Drink some hot cocoa and we will discuss the book together! 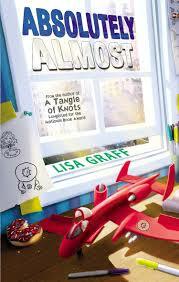 For the month of January we will read One Crazy Summer by Rita Garcia-Williams and for the month of February we will read Absolutely Almost by Lisa Graff. Advance registration required.